1. 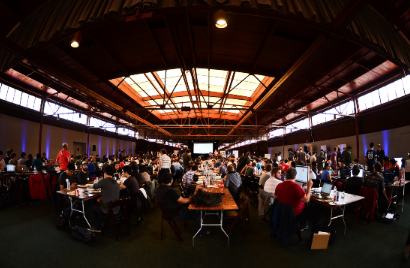 We're hosting the world's largest Hackathon, November 8th-10th in San Francisco. Over 1,000 verified developers will be there (600 have been confirmed already, 400 left). 2. The LAUNCH Fund will be investing $50k in each of two of the top 10 projects. Those two projects will also be shared with my AngelList Syndicate, making the investment $800k in each. So, we now have the world's largest investment prize (by a factor of 20x+) at $1.6M! 3. I'll also be interviewing Kevin Rose (Digg, Google Ventures), and two other awesome visionaries (suggestions welcome). PPPS - My new startup Inside.com will launch in November and I'm looking for 500 beta testers now: http://inside.com. PPPPPS - LAUNCH Festival has a stretch goal of 8k attendees (we hit 6k last year! ), and you need to be there. Visit http://events.launch.co/builder for a free founder ticket. They will run out quickly!